Australian critical metals developer Northern Minerals has identified two new high-grade rare earths deposits during a planned reverse-circulation drill program. 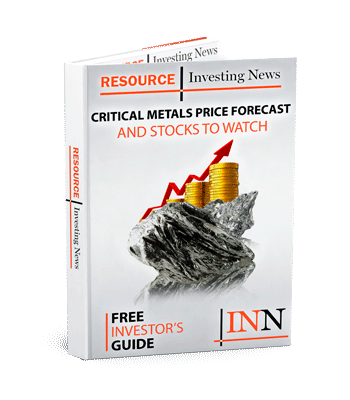 Australian critical metals developer Northern Minerals (ASX:NTU) has identified two new high-grade rare earths deposits during a planned reverse-circulation drill program. The discoveries made at the Dazzler and Iceman sites follow-up on assay results from earlier this year. According to the report, the results of the latest drill returned values of 18m at 9.10 percent total rare earth oxide (TREO), 21m at 2.15 percent TREO and 11m at 4.83 percent TREO. The findings are significant for the heavy rare earth explorer, as prior to these findings the mineral resource average grade was pegged at 0.63 percent TREO. Both the Dazzler and Iceman sites are located within 15km of Northern’s flagship project Browns Range. Once in full operation, Browns Range will be one of the first producers of dysprosium outside of China. Browns Range also features a processing plant, which will be instrumental in processing materials from Dazzler, Iceman and Browns Range due to its centralized location. “These very high-grade assays confirms our belief of having two new discoveries located close to the Browns Range processing infrastructure,” George Bauk, managing director and CEO, said in the release. In addition to gauging the mineralization at both sites, Northern was specifically looking to assess the unconformity between the Gardiner Sandstone and the underlying Browns Range Metamorphics. “We will be mobilizing as soon as practicable to follow up on these results as well as other high-priority areas targeting the Gardiner Sandstone unconformity,” added Bauk. The Australian rare earth explorer has been using a unique method to quickly assess the depth and value of REE at all three sites, Browns Range, Dazzler and Iceman. Portable XRF (pXRF), a method of using transportable x-ray machines has been used at Browns Range since 2014, and was instrumental in identifying the mineralization at Dazzler and Iceman. Northern Minerals shares remained flat on Tuesday (September 11), trading at AU$0.082.